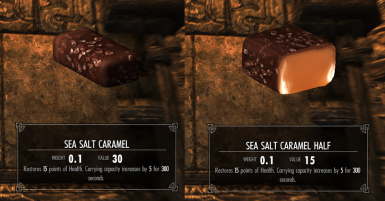 Did you know the Nords canonically make chocolate? CHOCOLATE?? And no one told me? 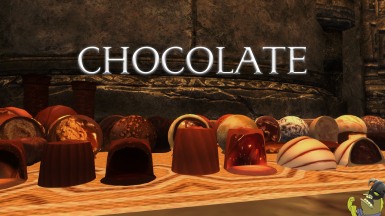 for some of the chocolates, used royalty-free with permission. Others were made by me. 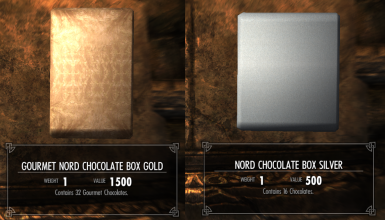 So it turns out that Nord Chocolate is canonically a thing in the TES universe, which makes it nothing less than a crime that you can't find any anywhere in Skyrim. Are you telling me they're so busy with their civil war they have no time for chocolate? Dragons who?? 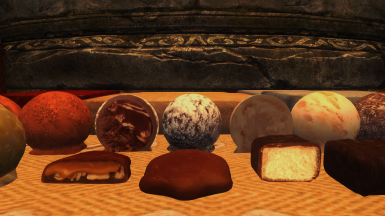 So I added in around 30+ varities of creams, chews, cordials, and truffles. 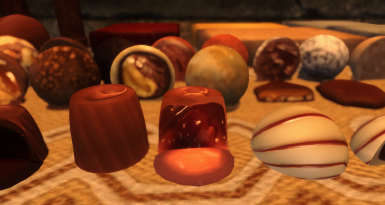 You can buy the chocolate boxes rarely in shops or taverns (note that if you have other mods that effect what they sell you may have to use Wrye Bash to get them to show up). 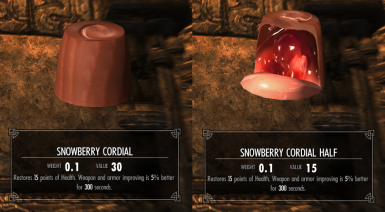 You can also buy them from the East Empire merchant on the Solitude Docks more frequently, although they can still be rare. The chocolate boxes are considered a treat so they're very expensive, depending on what box you opt for. 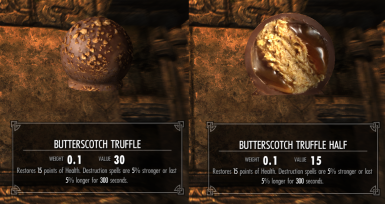 They're two use, so when you bite into one you get a half a chocolate back and you can see the gooey insides, because if you're going to make a gourmet chocolate mod, you might as well be weird about it. They have custom chew sounds, too, because you really shouldn't GHGNSKFKSNRKCHOMP chocolate. You can, but you shouldn't. Savor the flavors. See credits tab for more deets. 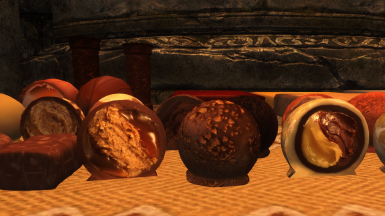 Update 1.1: Fixed the cream chocolate half infinite duplication. New RND patch on the way.